If you’re going to listen to 1 a cappella cover of Michael Jackson’s Thriller, let it be this one. It was recorded by Kyoto University student Yeo Inhyeok, who uploaded his one-man show to youtube earlier this week. 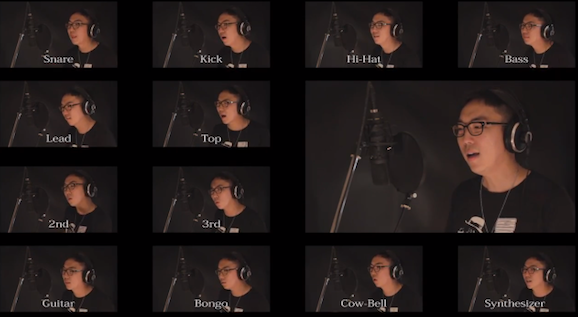 Using only his voice, Inhyeok, who is also a member of a Japanese a cappella group, recorded each component of Thriller individually, and then layered them on top of each other. The result is a spectacular one-man vocal show.